Jugalbandi is a style in India classical music whereby 2 musicians come together in a face to face dialogue of music displaying their unique styles. Although jugalbandi-s mostly took place between two musicians of the same style vocal or instrumental they have evolved further to express an amalgam of not only two different styles, but also between different musical systems. Some jugalbandi-s have been between the two traditions Carnatic and Hindustani and have infact been the finest showcase of their virtuosity as musicians. The concept of Jugalbandi is to pit two artistes of the same or similar caliber against each other such that both are on equal footing. Such a performance clearly showcases both artistes as soloists in their own right. What ensues is a cheerful and mesmerizing dialogue of notes rhythms and styles. 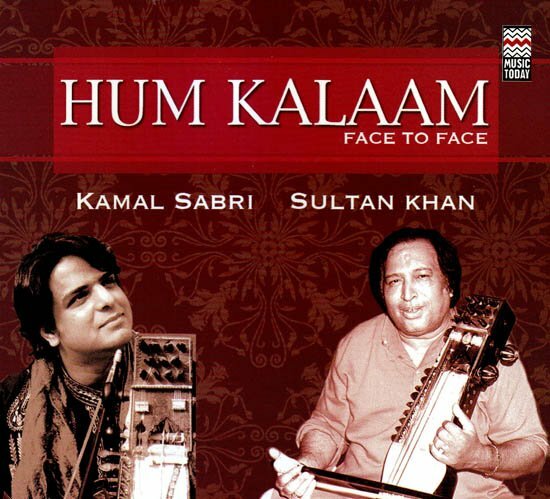 In this unique jugalbandi 2 sarangi virtuosos present a compelling duet which also includes a rare feature of the legendary Ustad Sultan Khan lending voice to a bhajan piece.